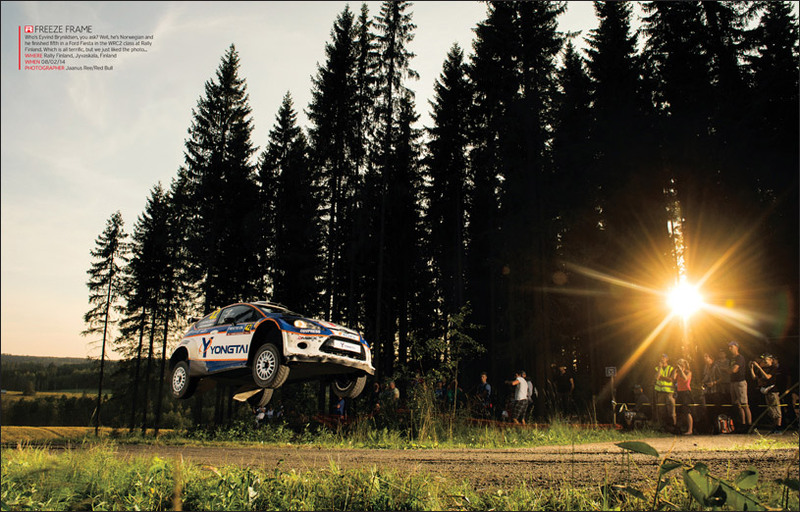 With every issue of RACER, our purpose is to take you inside the sport we all love, with the stories of racing’s past (we revel in it), present (we’re absorbed by it) and future (we’re excited by it). 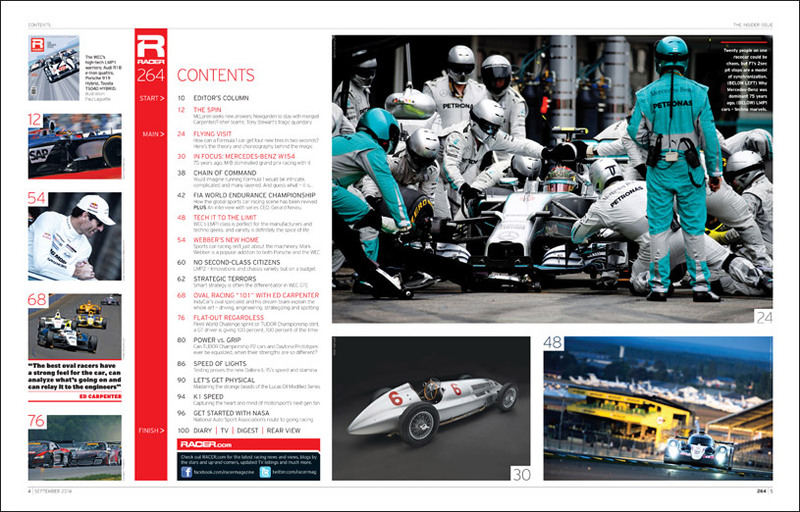 But with The Insider Issue, we wanted to probe that little bit further, explaining the “How” as well as the “Why” of some truly varied aspects of motorsport. And, honestly, there wasn’t a writer among us who didn’t gain a ton of understanding along the way. 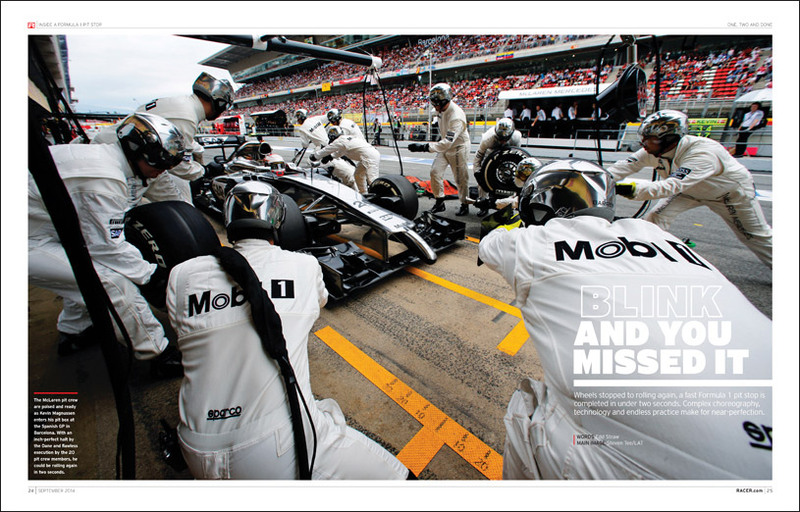 For example, do you know how Formula 1’s magnificently swift pit stops are achieved? How the World Endurance Championship’s policies have allowed tech-laden LMP1 prototypes to retain great diversity while achieving the same goals? 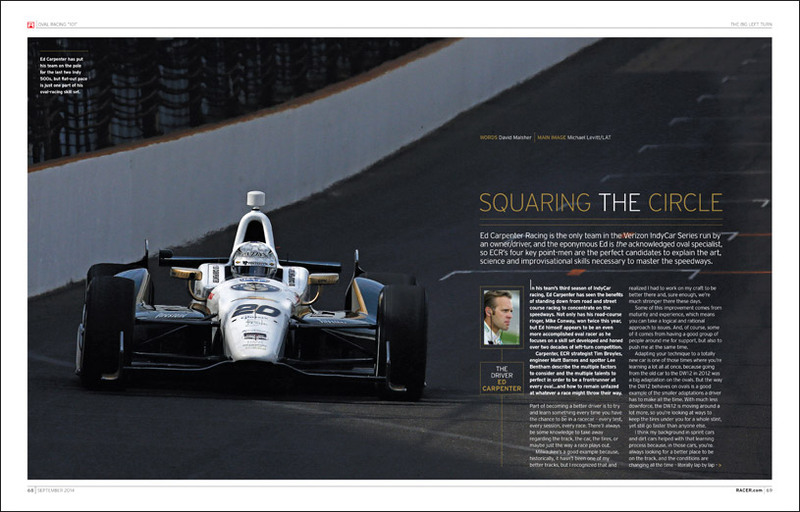 How an IndyCar team perfects the art of oval racing? How Formula 1 regulations are passed (or rejected)? How differently a GT racer approaches a TUDOR Championship enduro compared with a Pirelli World Challenge sprint. Read on, and these questions and many more will be answered. Naturally, we haven’t neglected the “Why”-type questions, either. Why is Mark Webber not missing Formula 1, but is instead totally absorbed by racing a Porsche 919 Hybrid in the WEC? Why is it so difficult to balance the performance of IMSA’s Daytona Prototypes and P2 cars? 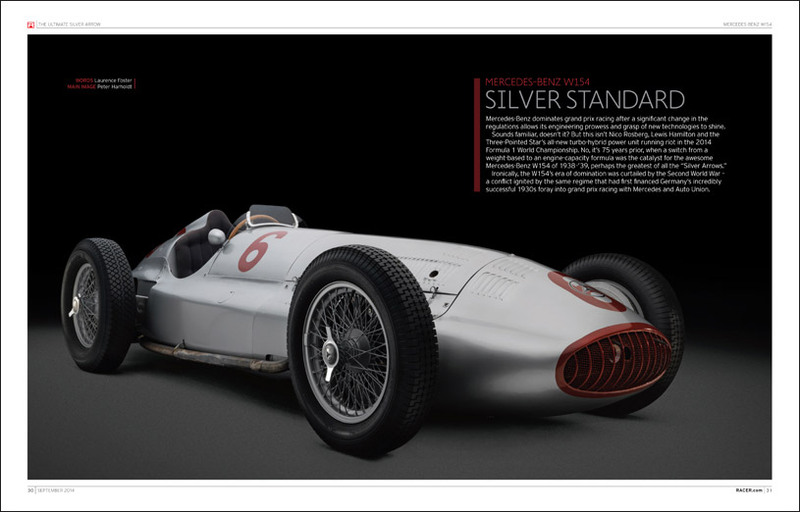 Oh, and why is the pre-War Mercedes-Benz W154 one of the most overlooked over acheivers in grand prix history…and why was it so sleek and low compared to its contemporaries? One category whose performance is balanced from the start is Indy Lights, and so we’re also thrilled to report in these pages how tests are proving the 2015 Dallara IL-15 to be very quick, very reliable, and the perfect vehicle for wannabe IndyCar Series drivers. So this is the issue of RACER where we barely touched the rose-tinted spectacles, and instead used the X-ray vision variety. Come to think of it, perhaps we should have called it The Enlightenment Issue.